With a serene and distant view of the hills of Sierra Nevada, on 9 August, 2011, I sat in a library at California State University Fresno, reading The Simple Truth, a collection of poems by Philip Levine. The day after, Mr. Levine, 83, was being nominated by the Library of Congress the next poet laureate of the United States. The felicitations, however, had made their way to the poet’s home here in Fresno and thrilled the entire community of writers in the Central Valley of California. Brandi Spaethe, a friend and fellow writer in our MFA program, broke the news to me. And while walking this beautiful campus dotted with maple trees, with an ecstatic gusto of a poet-in-the-making, she fell into long recitations of many touching poems from the book. Philip Levine was born in Detroit, Michigan, to Russian-Jewish immigrant parents in 1928, a year before the Great Depression started paralyzing the economy of the US. Levine was educated in Detroit public schools and at Wayne State University, Michigan’s only urban public research university. After graduation, Levine worked a number of industrial jobs, including the night shift at the Cheverolet Gear and Axle factory in 1953, working on his poems in his off hours. In the fall of the same year, he journeyed to the University of Iowa to attend a poetry workshop. In his autobiographical account, The Bread of Time, he recalls: “The attraction at Iowa was Robert Lowell, whose Lord’s Weary Castle had received the Pulitzer Prize.”Afterwards, he became Stegner Fellow at Stanford University. And then in 1958, he came to Fresno and began teaching English and writing at California State University and which went on for 34 years. The theme of ordinariness is also touched on earlier in the book but on a different chord. It is not the thread of ordinariness that universally runs through human experience and is mankind’s common share. It is an ‘ordinary’ individual’s ‘ordinariness’ versus the ‘poet’ and his intellectual sophistication. In the first poem ‘On the Meeting of Garcia Lorca and Hart Crane’, this ordinary man is Arthur Lieberman, the poet’s cousin caught in a strangely rich exchange between ‘the two great poetic geniuses alive’: Garcia Lorca and Hart Crane. It is ‘Brooklyn, 1929’. Because, Arthur, ‘a language student at Columbia’, knows both Spanish and English, he becomes the translator while the two poets converse through him with each other. After some time he develops a headache by ‘jumping back and forth from one language to another’ and ‘he goes to the window to look down on the East River.”In the ‘early night’ which has fallen, he experiences ‘flashes across his sight’ what the poet calls as “a double vision of such horror that he has to slap both his hands across his mouth to keep from screaming.” Though this is an intriguing situation, and is brilliantly poetic and contrapuntal, the poem leaves it there and veers in a different direction whereby it comments upon and conjures the different possibilities of meaning of the exchange, and its recreation through dialogue. It also asks ‘what happens’ in such a kind of exchange. And the answer it provides is: “A vision comes to an ordinary man staring at a filthy river.”Once again, the ordinary man, the one who becomes the conduit for this exchange which in turn bedazzles him, is Arthur. Now if we go back to the second part of Gramsci’s quote, it says: “…..though every human being doesn’t have the role of an intellectual.” Thus the question which immediately raises here is that of the role of the poet or intellectual and her relationship to an ordinary man: the relationship of a ‘poetic genius’ let’s say Lorca, in this case, with Arthur. One might assume that the role of the intellectual is to create or invent the language in which the ‘ordinary’ people can make meaning out of their experiences, imbue them with knowledge, and find their own ways to articulate them (to power). Even then it would be difficult to say with finality to which side Levine leans, because earlier a line alludes: “Let’s bless the visionary power of the human,” and Arthur is also an ‘animal that’s got it.” He emerges as someone who is capable of selling musical instruments in the dark times, someone who has the ability to see genius in the songs which are hideous hinting to the hope that marks an intellectual’s rational energy and the general belief in human capabilities. 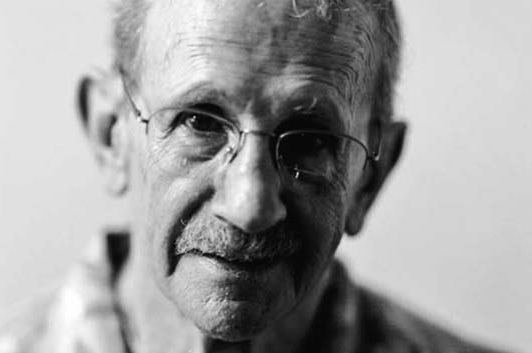 Philip Levine’s work has inspired hundreds of poets including Lary Levis and Gary Soto in the United States and the rest of the world. However, to work it into a tradition, California State University Fresno established Philip Levine Prize for poetry in 2000. This fall, Brandi is working for the prize with another prominent Fresno poet and the coordinator of the prize, Connie Hales. Brandi often shares the joy of reading scores of submissions from the poets all across the globe. The prize, she once told me, is basically an annual contest and the winner gets $2000 and the book is published by Ahinga Press, a Florida based publishing house. Philip Levine himself has served as the final judge for 2001, 2002, and 2005.The winner for the year 2010 was Lory Bedikian for The Book of Lamenting. Many congratulations, poets! Feroz Rather is attending the MFA (fiction) program at California State University Fresno. Garcia Lorca’s poems remind him of the ripe paddy fields by his village in Kashmir. An excellent essay on Levine, one of America’s greatest contemporary poets. I liked taking a look at his poetry through a young critic and poet’s eyes. Thank you for posting this essay. I spend half an hour each morning surfing the ‘poetry’ tag at wordpress in case there is anything worth reading. This essay was my second stop today (after a fine poem) and I am already set up for the working day. In the past I have avoided reading much work by other poets in case, consciously or unconsciously, I start to mimic them. Perhaps my life is impoverished by this approach and I ought to read more. So Levine is now on my list – maybe I’ll take his poetry on vacation with me. I loved reading Feroz Rather’s essay on Philip Levine . He brilliantly shows what connects Faiz , Levine and Neruda . They all speak to us . I have to read Levine this Christams . Wonderful piece . Thanks !! May your poetic genious depicts the wounded hearts…back dale.Wish u peace.